Daler Mehndi was granted bail minutes after he was taken into custody. Patiala: Popular Punjabi singer Daler Mehndi was today sentenced to two years in jail in an immigration scandal in 2003. The pop singer, however, was granted bail minutes after he was taken into custody. The police had charged him and his late brother Shamsher Singh of illegally sending people abroad disguised as members of their troupe. They collected a hefty "passage fee" for the job. The 50-year-old singer's lawyers plan to appeal in a higher court now. The Mehndi brothers had taken two troupes in 1998 and 1999 to the US. During this period, at least 10 persons were "dropped off" in the US illegally. Daler Mehndi, on a trip to the US with an actress, had taken three girls to San Francisco. During another trip, both the brothers brought another troupe to the US in October 1999 when three boys were "dropped off" in New Jersey. The complainants had alleged that the Mehndi brothers had taken money from them to help them migrate to the US illegally, but failed to do so. 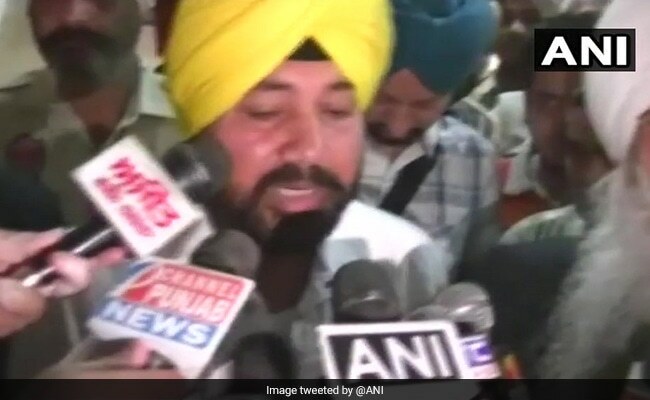 Bakshish Singh, one of the complainants, had told the police that the Punjabi singer had taken money to take him to Canada. The Patiala Police had raided the offices of Daler Mehndi at Connaught Place in New Delhi and seized documents, including a file of those who had paid money to Mehndi brothers. Based on several complaints, a case was registered in 2003 in Patiala. Daler Mehndi was subsequently arrested and released on bail after a few days. In 2006, the Patiala Police filed two discharge petitions stating Daler Mehndi to be innocent, but the court had upheld that the singer be prosecuted as there was "sufficient evidence against him on the judicial file and scope for further investigation". Shamsher Singh died in October 2017. The singer today said he will appeal in higher court. "I have been granted bail. We will appeal in higher court," he said after his release.